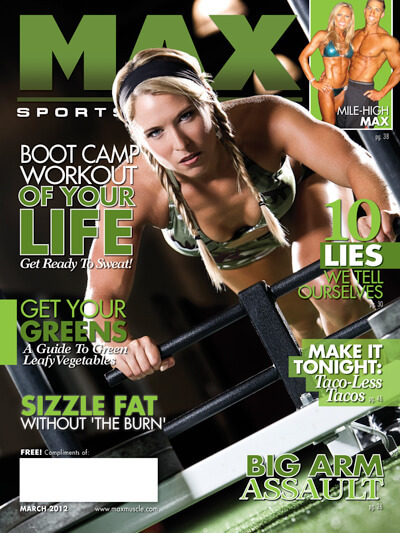 So I’m VERY, VERY excited to let y’all know that I just received my second cover – This one is for Max Sports and Fitness Magazine. I submitted an article on Boot Camp, and they not only ran the article, but they put me on the cover as well! I was pumped when I got the news, and even more pumped to see the final product! I knew 2012 was going to be a good year, and so far it’s off to a great start! Thanks for all the support! Remember…”No Excuses and that’s No Mullarkey”! If you want to see the complete article go to www.facebook.com/karenmullarkeywbffpro.